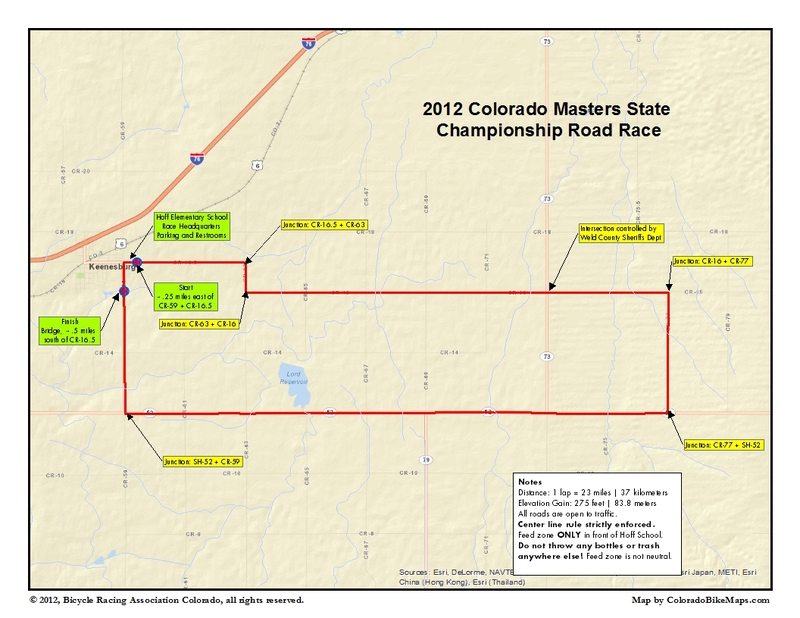 Fires in Fort Collins have played havoc with Bicycling Racing Association of Colorado’s ability to stage a championship race for masters and juniors this year. The Fort Collins Cycling Festival was slotted to host the races this year but the High Park Fire, which destroyed 90,000 acres west of Fort Collins, made that impossible. With little time to organize, BRAC, Lima Beans Cycling, and Team Rocky Mountain Health Plans pulled together both a masters and a juniors state championship. 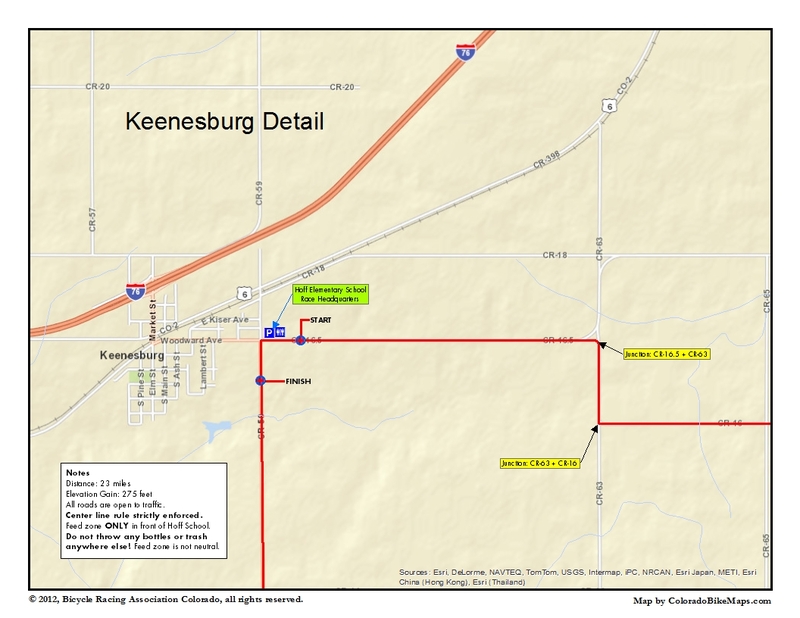 The new location is in Keenesburg, Colorado, just 50 minutes from Denver on I-76. I haven’t ridden the course yet but hope to this weekend. The race will also be a fundraiser to help those affected by the High Park and Waldo Canyon fires, a chance as BRAC puts it, “for the cycling community to come together and show Colorado that we care.” Rocky Mountain Health Plans has kicked off the fundraising with a $500 donation. 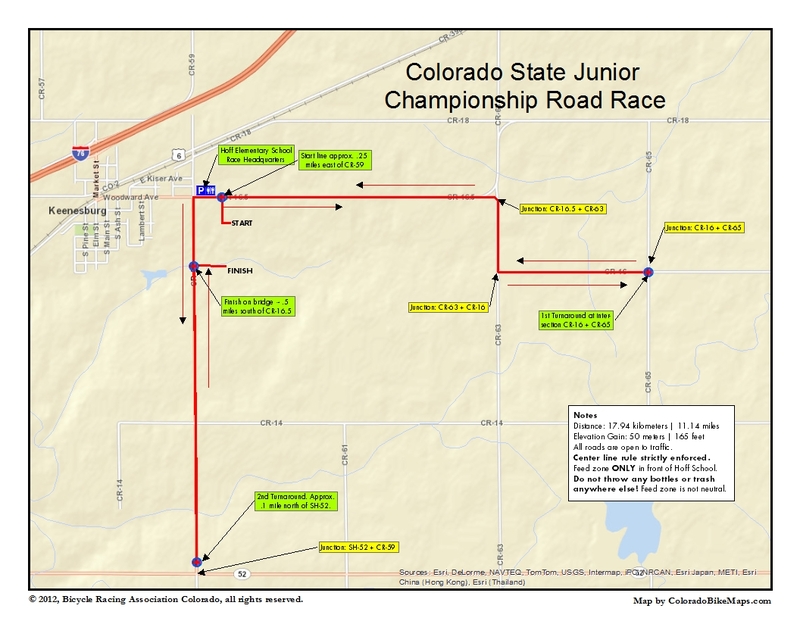 The racing begins at 8:30 a.m., August 19 with the juniors headed out on a 19K course, followed in short order by everyone else. You can find the race flyer here and sign up here.